After two days and two Weihnachtsoratorium performances in Germany, I travelled on to Luxembourg by train and car to join a different Weihnachtsoratorium project, this time with Le Concert Lorrain on Monday 19th of December 2016. From the starting point in Halle I went by train to Köln via Hannover - where I met the third trumpet player, Gareth. From the outskirts of Köln, we met the conductor who gave us a lift to the concert hall in Luxembourg. Our colleague, Will, flew to Luxembourg from London City and met us at the concert hall. We had a few hours to spare before the rehearsal, so we walked from the Philharmonie to explore Luxembourg City and to find somewhere to have lunch. We walked through the impressive grounds of the Museum Dräi Eechelen - featuring Fort Thüngen, built in 1733. From there, we descended into the valley and crossed the Alzette to the Pfaffenthal lift, which opened in July this year  after seven years of construction. The impressive lift ascends to a cantilevered steel jetty-like structure at city level, with a glass floor at the end that looks down over the valley below. Using this lift, we were able to easily explore the centre of Luxembourg. After lunch, we began our first rehearsal with Le Concert Lorrain. The group had already played one concert in Santander, a few days before this concert in Luxembourg. Sadly we (the trumpet section) were not available to play for the earlier Santander concert, so the orchestra had arranged for a different trumpet section to play for that performance. So the rehearsal in Luxembourg was mainly for the group to introduce us, the new trumpet section and for the orchestra to welcome the local children’s choir: Pueri Cantores du Conservatoire de la Ville de Luxembourg - who would be singing several of the choruses along with the main choir, the Dresdner Kammerchor. The rehearsal started with No. 8 ‘Großer Herr’, featuring myself and the excellent bass soloist Martin Berner. We were given warm applause from the orchestra and choir after rehearsing it. The full ensemble then rehearsed several of the other choruses in the fantastic Philharmonie in Luxembourg. The concert took place on the evening of Monday 19th of December 2016. It was a brilliant concert. The enormous Philharmonie was filled with people and there was an excellent atmosphere. There was remarkable music-making all round including: a sublime duet between alto soloist Christianne Stotijn and lead violinist Margarete Adorf in No.21 ‘Schliesse, mein Herze, die selige Wunder’, as well as fantastically rhetorical flute playing from Patrick Beuckels in No. 15 ‘Frohe Hirten, eilt, ach eilet’. The role of the Evangelist was sung by the conductor (tenor soloist) Christoph Prégardien, who skilfully combined both roles. It was a real pleasure to play No. 54 ‘Herr, Wenn Die Stolzen Feinde Schnauben’ and the celestial No. 64 ‘Nun Seid Ihr Wohl Gerochen’, to end Cantata VI, in such an amazing concert hall. After the concert, we took a bus to Metz where we stayed overnight - in preparation for a performance in the Arsenal in Metz the following evening. The schedule for Tuesday was far simpler than Monday’s. We had a luxurious amount of time off and we were able to explore the beautiful city of Metz on the banks of the Moselle and the Seille rivers. The obvious choice for any tourist visiting Metz would be to visit the impressive Saint-Stephen Cathedral (Saint-Étienne de Metz), and of course we did. 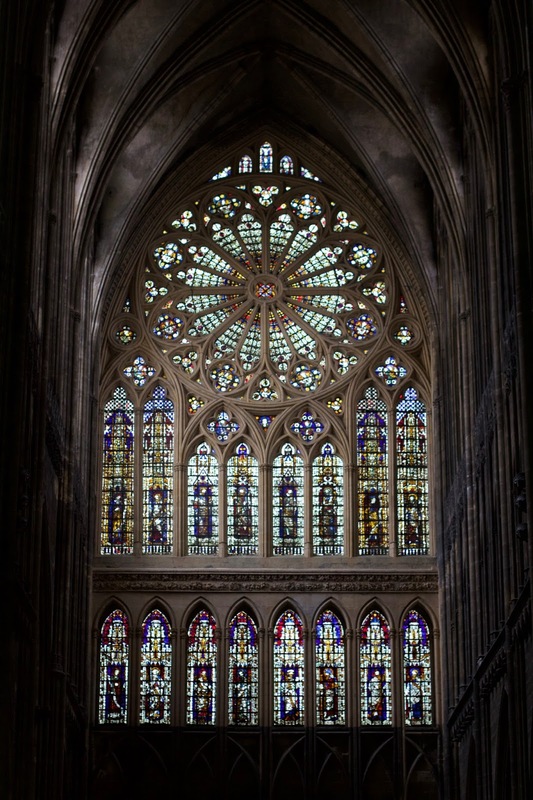 We were all amazed by the internal scale of the place and were wowed by the impressive stained-glass windows and the rose window in particular. 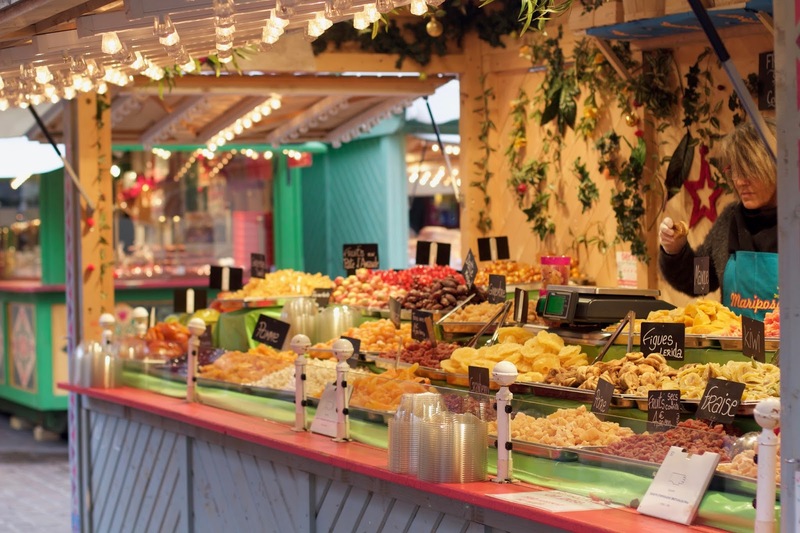 We also enjoyed the various festive markets that had been temporarily installed around the city. We enjoyed the morning before a leisurely French lunch and our early evening rehearsal. ￼For the performance in the Arsenal in Metz on Tuesday 20th of December, Le Concert Lorrain was joined again by the Dresdner Kammerchor. On this occasion we were also joined by the children’s Chœr Spécialisé du Conservatoire à Rayonnement Régional de Metz Métropole. The Arsenal concert hall in Metz is stunning. The main hall has 1500 seats, an excellent acoustic, wood-covered floor, walls and ceiling; and the dimensions of the hall are similar to the Musikverein in Vienna (though the Arsenal has tiered seating). It is a fantastic place to play and it is frequently ranked amongst the best concert halls in the world. The concert was very memorable - and the Christmas Oratorio just sounded amazing in the Arsenal in Metz. Cantata I was as good as I have ever heard it, and it began with the flawless timpani playing of our colleague Simon Stierle. Cantata II of the Christmas Oratorio highlighted the excellent flute, oboe, oboe da caccia and bassoon playing going on. 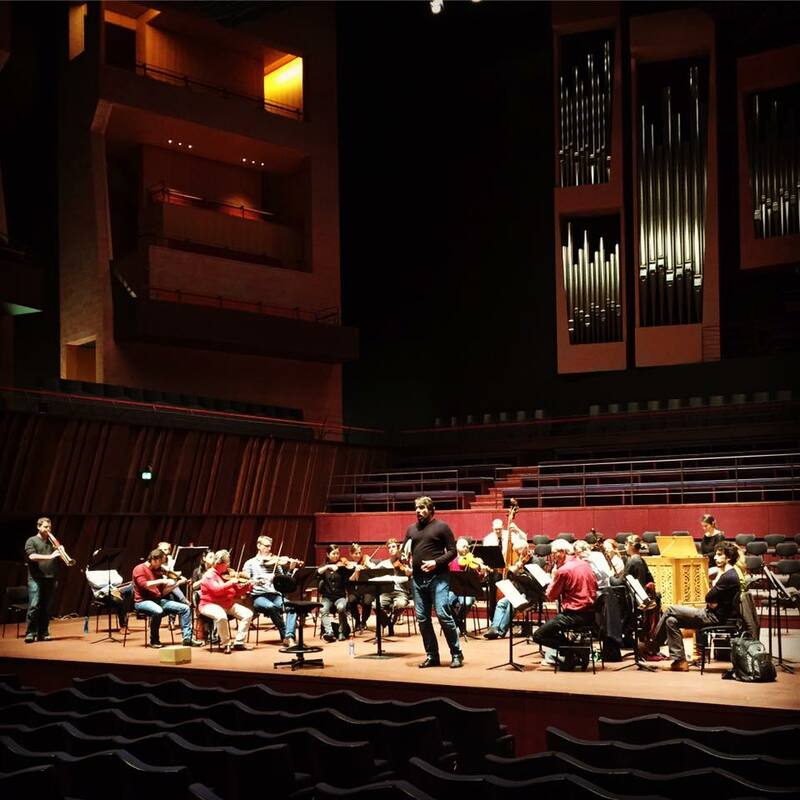 The combination of Joanne Lunn’s soprano voice, the euphoric oboe playing of Susanne Regel and the cascading string section sounds in No.57 ’Nur Ein Wink Von Seinen Händen’ brought immense joy at an upbeat tempo. I felt a huge, perhaps esoteric, sense of relief and reassurance in hearing this music played with such joy. Playing the finale No.64 was a great privilege and a fine way to end an excellent concert and project.